Many Eskom workers are barred from striking as the utility’s provision of power is considered an essential service. A one-day shutdown of power utility Eskom could happen on Thursday after the National Union of Mineworkers (NUM) and the National Union of Metalworkers of SA (Numsa) met on Monday at the NUM’s offices in Johannesburg. They are upset about Eskom not offering any increases to staff and also barring them from striking, as they are considered part of delivering an essential service to the country. A service or industry may be designated an essential service by the Essential Services Committee. Once this is determined, the Labour Relations Act allows parties who work in designated essential services to enter into collective agreements that regulate the minimum services to be provided by workers during any industrial action. If this is not followed, any striking employer risks dismissal. A full shutdown would presumably be illegal. The unions want 15% increases as well as housing allowances of R2 000, the insourcing of certain support workers, the banning of labour brokers, paid maternity leave for six months and one month’s paternity leave for staff. NUM spokesperson Livhuwani Mammburu announced that Thursday’s march would be held outside Eskom’s head office in Sunninghill. Earlier, the South African Federation of Trade Unions (Saftu) also accused the power utility of moving towards privatisation after the utility’s announcement to boost financial performance by a zero percent increase in wages, the cutting of 10 000 jobs and the “privatisation of electricity generation to independent power producers”. Saftu’s acting spokesperson, Patrick Craven, said, “Saftu says no … [and] condemns Eskom’s war on its workers. Workers must not pay the price for Eskom’s mismanagement and corruption. “Electricity generation is a vital public service, supplying power to the people, in industry, schools, hospitals and homes. “Its mandate has to be to provide that service as efficiently and cheaply as possible and with the minimum damage to the environment. Craven added “workers should not have to pay the price for their bosses’ irresponsibility by losing their jobs in mines and power stations as a result of handing over power generation to IPP companies which were only interested in the bottom line”. 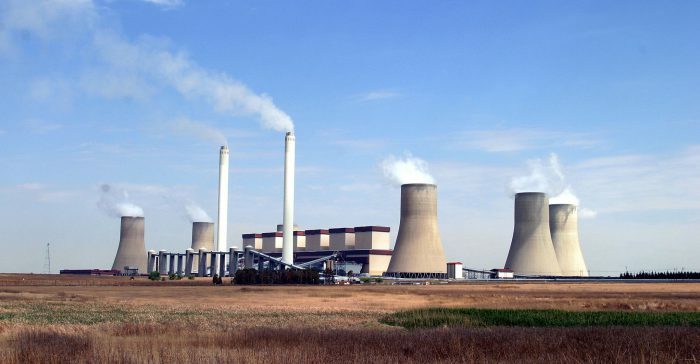 However, Eskom spokesperson Khulu Phasiwe said the utility currently “does not have cash” and that it would be “irresponsible” for it to allow increases in wages and not cut down on labour costs. The utility also said there were no plans to privatise the public power utility and it was only calling for the liberalisation of the market for more competition within the power sector.